Michael & LaToya visits the set of US prime time soap opera “Dynasty” and meet the actress Joan Collins. “What Have You Done For Me Lately” is released as the 1st single from “Control” and becomes Janet first TOP 10 hit on the Billboard. Michael arrives half-way through the American Music Awards ceremony in company of Elizabeth Taylor where he, Quincy Jones, Lionel Richie and Ken Kragen receive awards for We Are The World. At the show’s conclusion, MJ joins many celebrities including Diana Ross, Janet & LaToya to sing We Are The World. Michael gives a 5 minutes interview about Quincy Jones for CBS 60 minutes programme. The album Control is released and becomes a huge success in . 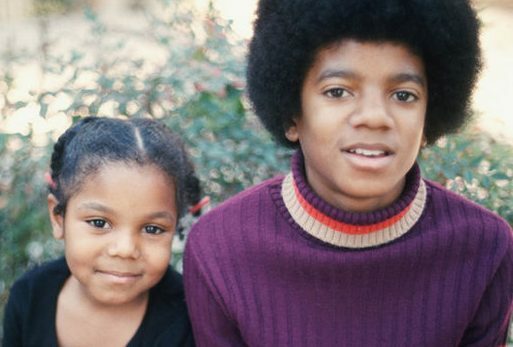 For the first time of her life, Janet is considered as an artist and not as Michael Jackson’s little sister. She gives many TV, Radio & magazine interviews to promote the album. The video for “What Have You Done For Me Lately” is premiered on BET. Michael, Lionel Richie, Quincy Jones & Stevie attend the Grammy Awards where We Are The World receives four awards. Heart transplant recipient Donna Ashlock visits Michael at Hayvenhurst. She stays for lunch and watches a movie with Michael. Janet & Rene Elizondo Jr start dating. Michael accompanies Elizabeth Taylor to the opening of the Hollywood Park Race Track in Inglewood . Janet performs What Have You Done For Me Lately on The Solid Soul Show. “Nasty” is released as the 2nd single from “Control”. 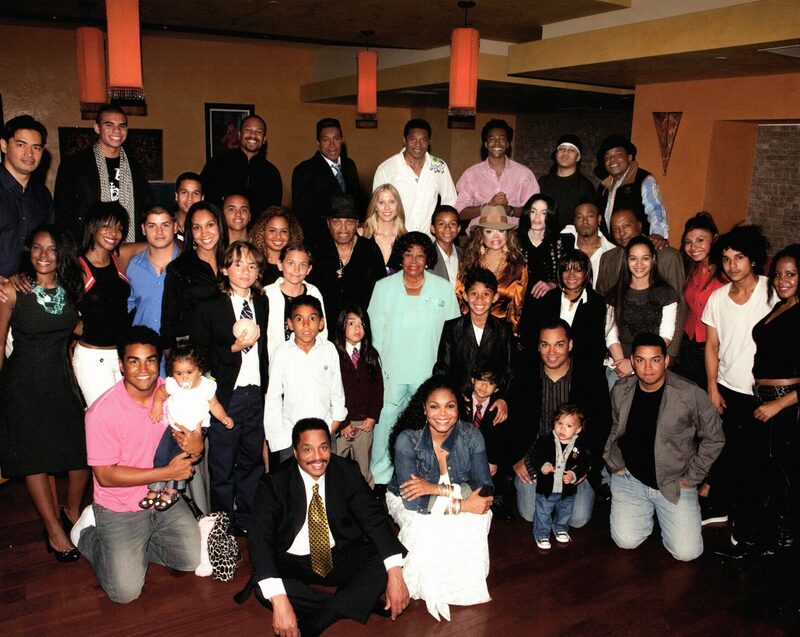 Janet premieres the video at her home movie theatre in Hayvenhurst for Michael & the family. The video is directed by Mary Lambert and choreographed by Paula Abdul and Anthony Thomas. Janet performs What Have You Done For Me Lately on American Bandstand. Michael, Elizabeth, Lionel Richie & Mikhail Baryshnikov attend the LA Bullet Opening Night party in Los Angeles. Michael attends Jermaine’s concert in Los Angeles with Janet & LaToya. He is disguised as “Uncle Willy”. Janet performs What Have You Done For Me Lately on Solid Gold. Michael with Emmanuel Lewis & aides stay at the Hemsley Palace Hotel. During a press conference at New York ’s Red Parrot, Pepsi announces a new contract with Michael for a reported $15 million and he receives a Guinness Book of World Records plaque for having received the largest fee ever for a product endorsement. On their last evening in New York , Michael & Emmanuel watch The Little Shop Of Horrors. Janet is on the cover of UK’s NME magazine. Michael & Corey Feldman go to Disneyland . For the first time, Michael is seen in public with a surgical mask. “When I Think Of You” is released as the third single from “Control” along with a video. It is Janet first ever Number 1 the hot 100 US Billboard. The video is directed by Julian Temple and choreographed by Paula Abdul. Janet’s nephews TJ & Taryll make a cameo in the video. Michael attend the funeral of film director Vincento Minnelli with his daughter Liza & widow Lee at the Forrest Lawn Cemetary in Glendale, California. After writing many songs, Michael starts recording a new album with Quincy Jones. Michael attends the concert of the Norwegian group A-Ha in Hollywood with good friend Sophia Loren and arrives in a surgical mask. Janet attends the MTV Video Music Awards where she presents an award. Captain EO, Michael’s 17 minute 3-D musical fantasy is premiered at Epcot Center in Disneyworld ( Florida ) and the day after in Disneyland ( California ). “Control” is released as the fourth single from “Control”. The music video is directed by Mary Lambert and features a live performance recorded at the Grand Olympic Auditorium in Los Angeles with Terry Lewis, Jimmy Jam, Jellybean Johnson & Jerome Benton. It’s choreograped by Paula Abdul & Anthony Thomas. Janet Dubois from Good Times plays Janet’s mother in the video. Janet performs Control on the Soul Train Show. Michael & Run-DMC work together on an anti-drug song. Michael films a 16 minutes video for the song Bad directed by Martin Scorsese and featuring Wesley Snipes. Scenes are filmed in Dobbs Ferry , a tiny hamlet in upstate New York and in a subway of Brooklyn . The song and video tell the story of Daryl, a black youth from the ghetto who returns home from his private school. Elizabeth Taylor, Quincy Jones & Sean Lennon visit Michael on the set. Michael attends the Little Shop Of Horrors premiere at the Beekman Theatre in NYC. Rumours circulate about Michael having an affair with his make-up artist Karen Faye. Michael attends a presentation by the American Friends Of The Hebrew University where Steven Spielberg receives the coveted Scopus Award. Michael attends a performance of The Little Shop Of Horror. Janet performs Control on Countown to 1987.